If anything follows the apology than it really isn’t an apology and we are shifting the blame to the other person. Saying “I’m sorry I hit you but you made me mad” is saying it is his or her fault you hit them and you are not sorry for your actions. I was all set up to do another topic today, but had a last minute change. I heard somewhere that every true encounter with Christ convicts us of our sins, and I believe that to be true. Recently I have been convicted about something that I have thought about for a long time; proper, Godly apologies. I have always tried to apologize when I am wrong, but I have to admit that my apologies are not always the best as I sometimes try to minimize my guilt by adding an addendum to the apology such as, “I am sorry, but there were special circumstances,” etc. I am also aware that I don’t always apologize quickly enough, and sometimes by the time I apologize it is too late. Admitting fault and asking for forgiveness is good for any relationship, and when there is a proper apology the offensive behavior changes as well and we just don’t say we are sorry and keep acting the same way that caused us to have to apologize in the first place. 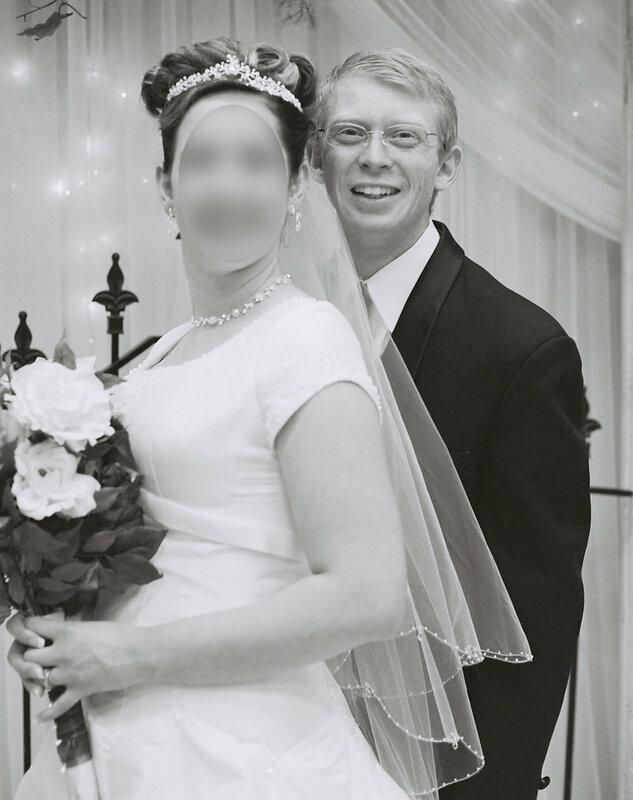 While I can’t realistically take all of the blame for my failed marriage, I would be dishonest it I was to say that I wasn’t a large part of it. For a long time I felt like it was just me who had been wronged and that I had nothing to apologize for, but when God found me I was convicted of the fact that I needed to apologize for all of my, less than stellar, behavior toward my wife. Even after I knew I should apologize I found one excuse after another for not apologizing, but I recently wrote an apology to my ex-wife, though I don’t know if she read it or just threw it in the garbage. I wouldn’t blame her if she didn’t read it, though I hope she is listening to this. I thought it would last forever. It turned out that “forever” was 5 years. A lot of time when we apologize we make the apology all about us. We, instead of offering an apology that helps the person we hurt, we offer a self-serving apology. I have been guilty of many self-serving apologies. A common apology today is, “I am sorry you got hurt,” which is not offering any apology for our actions, just that we are sorry they happened to get hurt as a result. Any apology that is followed by an addendum or a but is not an apology at all. “I am sorry, but you made me do it,” is not an apology and puts all of the blame on the person we are apologizing to. This type of apology is common in abusive relationships. “I am sorry I hit you, but you shouldn’t say those things about me to your mother,” “I am sorry I destroyed your X-box and threw your golf clubs into the lake, but you shouldn’t talk to other women for any reason, you know how jealous it makes me,” “I am sorry you got hurt, but you know what makes me mad and you keep doing it,” etc. Those are all examples of blame shifting apologies. My father never gave a true apology, he never accepted any responsibility for anything and he always blamed the one he hurt. My father would say things like, “I am sorry I had to destroy all of your toys, but you shouldn’t have annoyed me,” and “I am sorry I hit you so hard, but you shouldn’t trip and spill my coffee.” My father was always hurting people, and whenever he did, he would give a self-serving apology shortly after that also shifted the blame on those he hurt. The very first two apologies in human history were blame shifting apologies. Humans were given the perfect setup on earth, plenty to eat, no hard work, all the animals loved them, they could walk around naked all day and not get bitten by mosquitoes, the temperature was always perfect, but they had to do the one thing they were told not to do. Literally, they were only given one commandment and the broke it. Adam and Eve were given, probably thousands of good things to eat, sure they didn’t have bacon, but they were happy, and so were the pigs. Yet they ate the one thing they were commanded not to eat, which, by the way, was not bacon. When God came down Adam and Eve hid from him and when he called them and asked where they were Adam said they hid themselves because they were naked. God then asked, “OK, who told you that you were naked, did you eat from the tree of the knowledge of good and evil, the one tree I specifically told you that you were not allowed to eat?” God did not ask because he didn’t know, he knew everything and knows everything, he just wanted to give them the chance to come clean. Of course, instead of just coming clean, Adam and Eve did some massive blame shifting. Let me say right here, right now, the devil has never and will never make anyone do anything. The devil can be mighty persuasive, sure, but it is ultimately a choice we have to make, and when we choose wrong, while we may have been influenced by the devil, he did not make us do it. Every sin or poor decision we have made or will ever make is a choice that we made ourselves. You see, when we are truly forced to do something it is not accounted to us as sin, like if a woman is raped she is not guilty of adultery, and I think, if a man kills another man in battle as a result of orders he is not guilty of murder. Most of the time, however, when a person says that someone made them do it they were influenced and gave into the pressure and was not actually forced. Giving into intense pressure is not the same thing as being forced to do something. Another common thing people do when confronted with something they did wrong is denial. After Adam and Eve were evicted from the garden of Eden they had two sons, Cain and Abel. Cain was a farmer and Abel was a rancher and both offered sacrifices to God, and Abel’s sacrifice was accepted but Cain’s was not. Many people mistakenly think that Cain’s sacrifice was not accepted because God has some aversion to vegetable or that he just likes meat better, but it was really about the quality of the sacrifice and not what was being sacrificed. In the law of Moses God commanded both plant and animal sacrifices. It was about intent and quality. Abel gave the best of his flock as a sacrifice, but Cain gave inferior produce as a sacrifice, but giving up something you don’t want and won’t miss is no sacrifice at all. God was pleased with Abel’s sacrifice but not with Cain’s so Cain became jealous and murdered his brother in cold blood, which was the first murder in human history. while the Bible doesn’t tell us, the first murder weapon was likely a rock. I sometimes think of this like in The Princess Bride when Vizzini orders Fezzik to kill the man in black after he inconceivably did not die from the fall when the rope was cut, and again didn’t die at the hands of Inigo Montoya, a man who devoted his life to the study of sword fighting. “My way’s not very sportsman-like,” Fezzik said as Vizzini walked left. Fezzik decided to have a fair fight with the man in black instead of surprising him by smashing him in the head with a rock. If you haven’t seen The Princess Bride you should immediately correct that gross error as soon as you finish this podcast/blog. Unlike Fezzik, I doubt Cain was interested in a fair fight and probably smashed his brother in the head with a rock when he wasn’t looking or expecting it. When I was a kid my family was friends with a guy who liked to say that you can’t have more than two people in a group without problems and pointed out as soon as there were more than two people they started killing each other. Anyhow, God confronted Cain and asked him where his brother was, not because he didn’t know but because he wanted to give Cain the chance to come clean. Again, God knows all. Cain, unlike his parents, did not admit to his crime when confronted and outright lied about it to God. I don’t know how the fact that God is all-knowing escaped Cain, but people are not rational when they are panicked and scared. Besides denial or blame shifting, another poor apology is when we say we are sorry but continue acting just like we did before we apologized, which says to any rational person that we are not truly sorry. From the Bible we get an example of a great apology from king Saul to David, but despite how heartfelt Saul’s apologies were, they did nothing to change his behavior. Saul was the first king of Israel, but after a few blunders God decided he was not fit to be king anymore and had Samuel anoint David as King, but it had to be done in secret or else Saul would have killed Samuel and David. Saul’s first blunder was when he decided to offer a sacrifice to God when Samuel did not arrive when he was expected. In my mind it is like when Frodo in the Lord of the Rings told Gandolf that he was late, to which Gandolf replied, “A wizard in never late, nor is he early; he arrives precisely when he means to.” I think a prophet arrives precisely when he means to as well. Anyhow, Saul did not have the right to perform any sacrifices as only a member of the levitical priesthood could offer sacrifice, and only the high priest could offer a sacrifice on behalf of the entire nation. Samuel told Saul that to obey is better than to sacrifice, (1 Samuel 15:22). Later God commanded Saul to utterly destroy the Amalekites, including the women, children, livestock and all their treasures. Saul decided to take the king alive and to keep what he deemed as the best things instead of destroying everything as he was commanded. At some point I plan on dedicating an entire episode on why the Amalekites were to be destroyed and why it was bad that Saul didn’t do as he was told, but for now I will move on with the story. When David was anointed to be king of Israel he was young, held no impressive position and spent most of his time tending his father’s sheep and playing the harp and the lyre. David was later chosen to play for Saul to put him in a better mood and he was often at Saul’s side. Saul liked David until his popularity started to surpass his own. After David killed the giant Goliath he was given command of an army and when he returned the women were singing that Saul killed thousands but David killed tens of thousands, and that is really where the jealousy began, which put a serious damper on their relationship. On several occasions Saul threw his spear at David while he played his lyre, trying to pin him to the wall. Finally Saul told David that he could marry his daughter and all he wanted as a dowry for his daughters hand was a hundred Philistine foreskins, which is an extremely strange thing to ask for, and yuck! The reason Saul wanted David to do this was because he fully expected the Philistines to kill him, but imagine his surprise when David showed up with a sack containing not one hundred, but two hundred Philistine foreskins, (1 Samuel 18). David prospered in all he did because the Lord was with him, and that rubbed Saul the wrong way. Johnathon, Sauls son, was best friends with David and when he learned that his father wanted to kill his friend he made him promise that he would not harm David. However, it was an empty promise and it wasn’t long before Saul was once again making attempts on David’s life. When Saul realized that David had the chance to kill him but spared his life instead he offered a heartfelt apology, freely admitting his wrongs, but it quickly became apparent that the apology was all show with no change in behavior. “You are more righteous than I,” Saul said. “You have treated me well, but I have treated you badly. You have just now told me about the good you did to me; the Lord delivered me into your hands, but you did not kill me. When a man finds his enemy, does he let him get away unharmed? May the Lord reward you well for the way you treated me today. I know that you will surely be king and that the kingdom of Israel will be established in your hands. Now swear to me by the Lord that you will not kill off my descendants or wipe out my name from my father’s family.” So David gave his oath to Saul. Then Saul returned home, but David and his men went up to the stronghold, (1Samuel 24:16-22). Saul offered a beautiful, heartfelt apology, but in the end it was empty because he quickly reneged on it. David knew that Saul would go home and get any again, and that is why he went to the stronghold with his men instead of trusting Saul. When you constantly apologize but don’t change your actions no one believes you anymore and your apologies are worthless. There are many people who apologize over and over and promise time and again that they will never repeat the offending action, but after a while both they and the person they are apologizing to know it is a lie, even if they want to believe it. Once Saul was, quite literally, on the war path for David again, David had another chance to kill him but again spared his life. Saul and his army had followed David and his army and when they made camp David saw that they were all asleep, including Abner, the man who was supposed to be looking out for and protecting Saul. While everyone slept David and Abishai quietly sneaked into camp and when Abishai saw that Saul was asleep and no one was guarding him he wanted to kill him with his own spear, but David would not allow it because, regardless of all he had done, was the Lord’s anointed and David did not have the authority to take his life. Instead, David commanded Abishai to take Saul’s spear, probably the same spear that had been thrown at David many times, and the water jug that was beside him, and then they sneaked back out of the camp. When Abner saw that the king’s spear and water jug were indeed gone, and in the hands of the enemy, he might have needed to change his garments after the gravity of his mistake was apparent. When I was in the Navy I was told that anyone who falls asleep while on watch during a time of war is to be put to summary justice, which is to say they are to be put to death. I would imagine that Abner was afraid of just that happening to him, but from the Bible we learn that it was not the case as he was murdered some time later by one of David’s men, against David’s wishes. Of course, Saul again realized that he was wrong and freely admitted it and said, “I have sinned. Come back, David my son. Because you considered my life precious today, I will not try to harm you again. Surely I have acted like a fool and have been terribly wrong,” (1 Samuel 26). This time Saul did not seek to destroy David anymore, but it wasn’t really because he had changed but rather because David fled the country until Saul after Saul killed himself. Now let us compare the apology of David to that of Saul. As anyone who is even remotely familiar with the Bible knows, David became the 2nd King of Israel and the nation grew prosperous. It was the tradition for the king to go with his men to battle, but there was one time when David chose to stay home instead, and that is when he went up on his roof and, from that high vantage point, saw a woman taking bath in her home and sent his servants to fetch her. The woman, Bathsheba, was married to one of David’s men, so when she became pregnant David sent her husband to the front line and ordered the rest of the army to withdraw so he would die, which is fairly similar to one of Saul’s failed plans for David’s death. Eventually, David realized the gravity of his sins and did all he could to make amends, and his apology to God is one of the best apologies ever recorded in human history. then bulls will be offered on your altar, (Psalm 51). While it is true that whenever we sin, regardless of the sin or whom we have sinned against, we have sinned against God, we are still expected to reach out and apologize to those we have wronged. When we ask God for forgiveness he grants it and it is not predicated upon asking forgiveness from those we have wronged, but we are still expected to make amends when we can. Jesus said, “if you are presenting your offering at the altar, and there remember that your brother has something against you, leave your offering there before the altar and go; first be reconciled to your brother, and then come and present your offering,” (Matthew 5:23-24). Not only is mentioning that we had someone do something similar to us making us look worse for doing the action in the first place, but it also takes the focus off of the person we wronged and is saying that their pain is not unique or special and that they should not bee too upset with you because they have been there too. If an apology is not about the person who is wronged than it is not a proper apology. We need to say we are sorry, be specific and say what we are sorry for, accept the blame, and then shut our mouths. We don’t get to decide whether or not our actions have wronged or hurt someone and we don’t get to decide whether or not he or she should be over it already. We need to apologize, even if we know there is no chance in heaven or hell that the person will ever forgive us.